“how have you not been to mary mac’s? it’s an atlanta institution!” this was hannah’s reaction when i mentioned we were going to mary mac’s tea room for nrw. granted, mary mac’s is not new by any definition, but a majority of the group had not been, and that’s all we needed to go! it’s clear when you enter the waiting area of mary mac’s that this place has been around quite sometime, and it’s one that will be upheld for many years to come by those who love it most. mary mac’s was established in 1945 and was recently declared to be atlanta’s dining room per resolution 477 of the georgia house of representatives. that’s quite a reputation to uphold! we were shown to ferrell’s bar, one of the many dining rooms here at mary mac’s, and seated all together, just as though we had all come home for family dinner on a sunday evening. you just get that kind of feeling here! after taking our drink orders, the waiter kindly brought complimentary cups of pot likker for everyone at the table. pot likker is a thin broth with cooked collard greens that really goes well with some crumbled up cornbread. quite southern! here at mary mac’s there are order cards and pencils on the table for you to place you order. this tradition is one that has been in place ever since the joint opened. the menu is quite large, and with so much to choose from, i almost wasn’t ready when the waiter came around to me. i finally decided that classic would be best, so i went with the fried chicken plate, macaroni and cheese and hoppin’ john for the sides. after placing our orders, we chatted, munched on cornbread, cinnamon rolls, and bread until we remembered that dinner was still on its way! once dinner was ready, the stream of plates seemed never-ending, almost like the scene from “be our guest!” my eyes were much bigger than my stomach that night, and i knew i wouldn’t be able to consume everything in front of me, but i went for it anyway. the fried chicken was quite wonderful. the batter was not too thick but still flavorful, and the chicken wasn’t overcooked; it was just about a perfect fried chicken recipe. my sides left something to be desired, though. the mac’n’cheese was not my style (i confess that i am a blue-box kind of gal) and the hoppin’ john was a bit bland. i suppose i could have spiced things up with some hot sauce or pepper, but i wasn’t in love with it enough to put forth the effort. i looked across the table to ask hayley how her dinner was. after much debate she had decided on the grilled bbq chicken, which “was good, but it wasn’t fried.” well, yes, that’s how grilled chicken is, not fried. she’d realized that fried food is often better for good reason! as for our co-worker vinh, he grew up in boston, so whenever he gets the opportunity to try new types of food, he always rsvp’s yes. i finally had a moment between bites to ask him if he liked his meal. he had just taken a bite of the sweet potato casserole, and his reply was so perfect, i couldn’t believe he had actually said it: “yes, yes, 1,000 times yes!” YES. HE ACTUALLY SAID THAT. it was the best review of the evening. but that wasn’t all he had to share. “if the chef were a woman, i’d buy her a ring right now.” oh, vinh! his chicken pot pie hit the spot, and he left mary mac’s the happiest camper of us all. 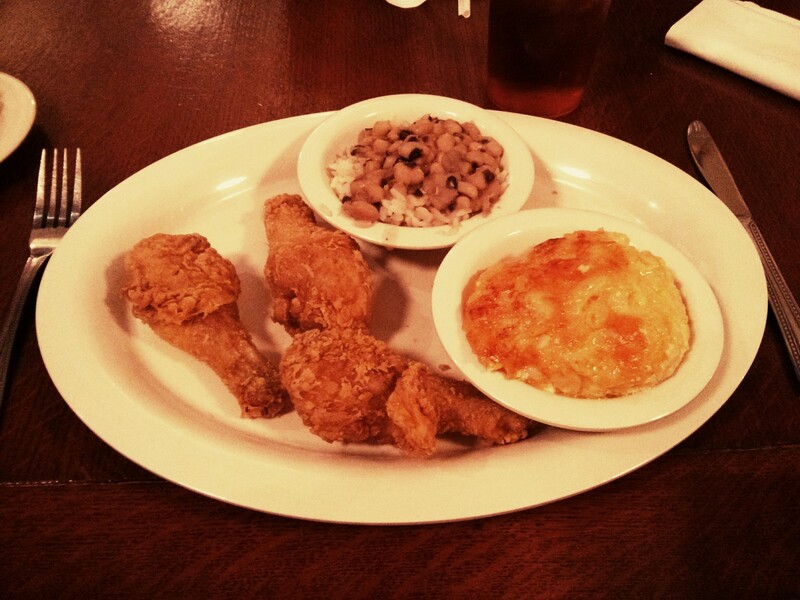 the staff here have been serving up the great tradition of southern cuisine and hospitality for nearly 70 years. 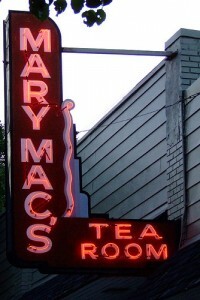 if you have not yet dined at mary mac’s tea room, make plans to do so. it’s an experience you will take home with you. There is definitely a lot of hype about Mary Mac’s. I’ve only been once but I wasn’t very impressed. However, I might give it another chance and try the pot pie. I agree, in that I certainly think it is a place you go for the experience. The chicken fried chicken and pot pie did look killer!